Lacthosa, through its Sula brand, recently joined the Honduras Branding strategy which seeks to promote investment, exports, tourism, and national pride at a global level. Sula, is a 100% Honduran company with over half a century in the market, and just recently added onto their orange juice and milk packaging the country’s branding logo which represents the values, culture, and traditions of the Honduran people. For more than five decades, Sula has been present in the Honduran families’ households by providing healthy and nutritional options thanks to the livestock sector and citrus growers of the country, both sectors are the basis for the dairy and juice that Sula produces, markets, and distribute to all corners of the country. Currently, this joint collaboration represents more than 120 million liters of milk and more than 80 million tons of oranges purchased to more than 6,000 farmers and citrus growers in the country. It should be noted that thanks to the creation of 88 Collection and Cooling Centers more than 14 thousand jobs in the field have been created being the livestock sector the second component of greater importance in the country right after the coffee industry. The Office of Strategy and Communications Advisor, Hilda Hernandez, emphasized the importance this initiative and many other private entities have had of joining to promote investments, exports, tourism, and other activities at a domestic and global level, such process represents over 70 different alliances. 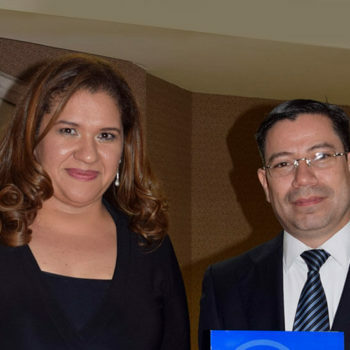 She went on stating that including the Honduran Branding Logo in Lacthosa’s packaging that will eventually help promote and highlight the country’s image and build investors and tourists’ confidence. Sula’s representative, Elena Kafie said that, “Sula represents national pride; it represents the work of the Honduran people out in the field. Today we feel very proud to be part of our country’s brand and our desire is that the world gets to know that in Honduras quality production exists”. “As a company, we want to take pride in our country and generate development and employment as well as high quality products,” she concluded. Sula is proud of its Honduran roots; it is a company that has operated in the country for over half a century generating jobs for more than 3,000 Hondurans and their families. Doña Miriam Rodriguez, a member of the Patagonia milk collectors in the south, said she felt very proud, “For years my family and I have worked in the area and little by little we have grown; we would like to thank Sula for all its contributions to us and I invite all Hondurans to consume milk from 100% Honduran grown cows”. The event was attended by the Office of Strategy and Communications Advisor, Hilda Hernandez; the Presidential Commissioner for Investments, Luis Mata; the representative of the National Council of Investments, Juan Carlos Sikaffy; Elena Kafie, Sula; as well as the President of the National Federation of Farmers and Ranchers of Honduras, Leopoldo Duran, among others.